The marketing budget of most non-profit organizations is quite limited, and with that in mind, it is important to tackle as much of the marketing tasks as possible through low cost avenues. 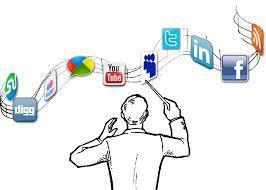 Social media is one of those avenues, it is a tool that must be explored and mastered. With that in mind, we will cover some important tips for using social media in your next marketing campaign. Who is your target audience? You must first identify them and then establish some objectives. What are you trying to get out of the target audience and how will you use tools to help you do this? You must have answers to these questions before you start to reach out through social media. Twitter is a good social media tool. Customize your account and ensure that your background picture reflects the objective of your organization. List the Twitter handles and profiles of people in your organization on your Twitter home page. This will help people to connect more easily with several of your key people. Use Facebook to create a fan page and allow your fans to interact with you by allowing them to post on your page. You can add interest by creating events on your fan page and everyone who is a fan of your page will receive a notification. Be approachable on your fan page – start a discussion by asking a question and be around to participate in the responses that people leave. Create some interesting videos and upload them to Youtube. Try to make the video compelling and add humor if it is appropriate. People do not want to watch sad videos, but they will certainly share good videos or videos that make them laugh or smile. Submit your best blog posts and news articles to key social news sites. People tend to react to good pieces by voting them up, and sharing the content with others. If your content is interesting, there is no shortage of ways that people will share it through various social media avenues. Blog posts should always have a list of sharing buttons, especially Facebook and Twitter. Most non-profit organizations do not immediately draw attention to themselves through social media. It is important to really think about unique ways to make your campaign interesting. Social media is a way to get the word out and your campaign in front of people instantly. With the use of social media, non-profits do not have to wait for mail to reach people via the postal service and they don’t have to spend money on postage. Social media allows non-profits to communicate constantly with people. All it takes to get the attention of people is to send them a notification or a message. People who are interested in your cause will sign up to receive updates, and you can allow them to share your content by making it simple for them with social sharing buttons.